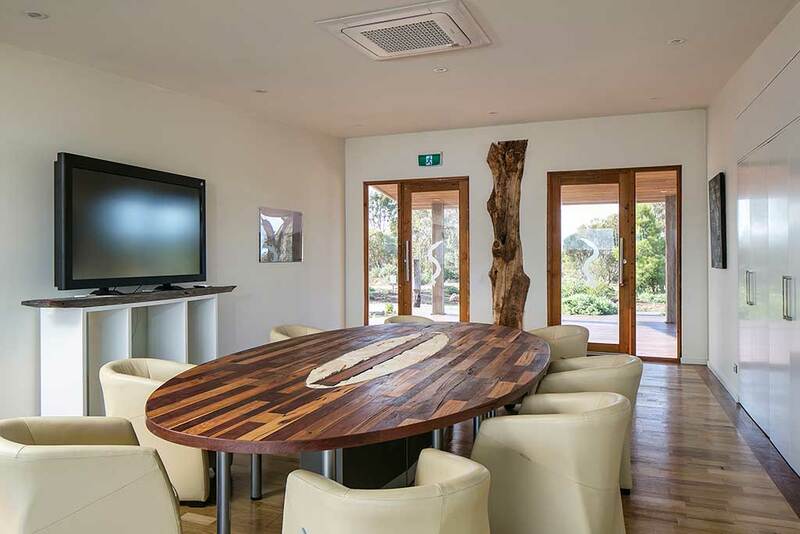 The Pike River business centre has been designed to ensure you enjoy ‘quality session time’. 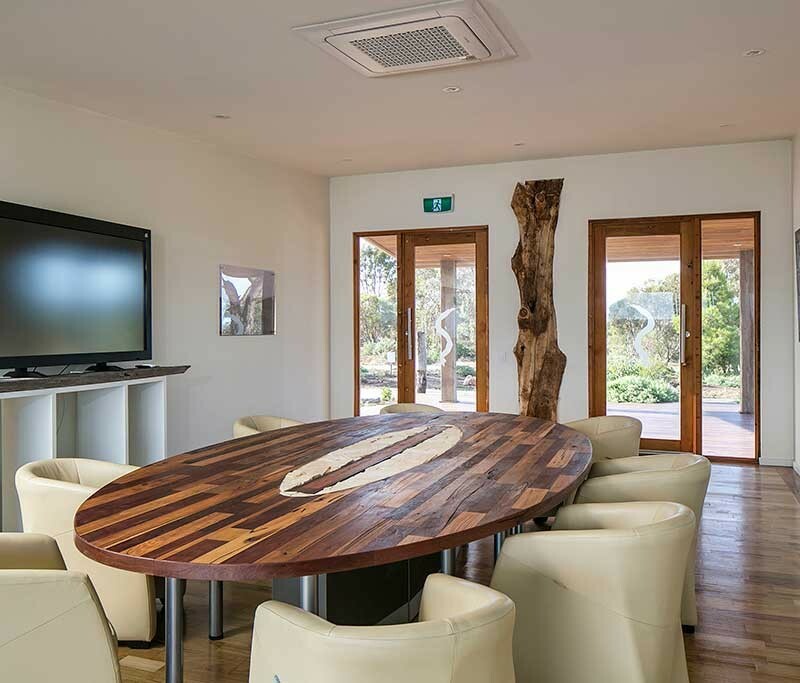 The centre can be set up in boardroom style for up to 12 or can be used for 30 in theatre mode. 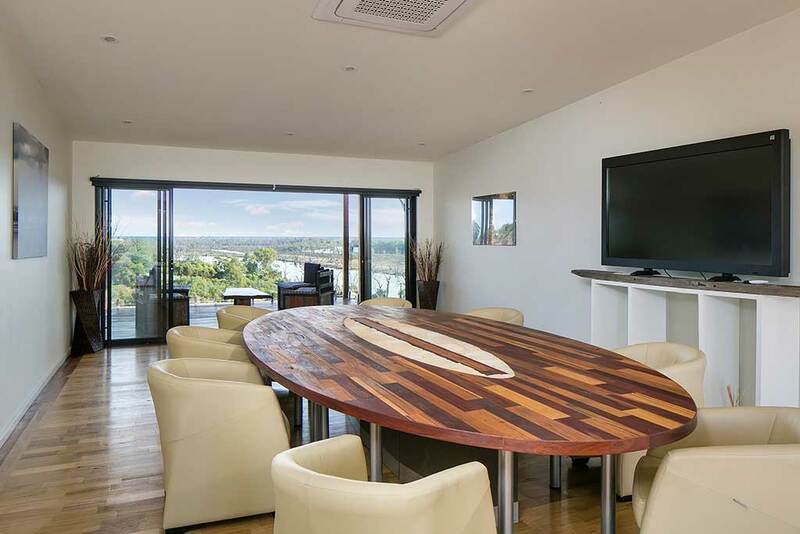 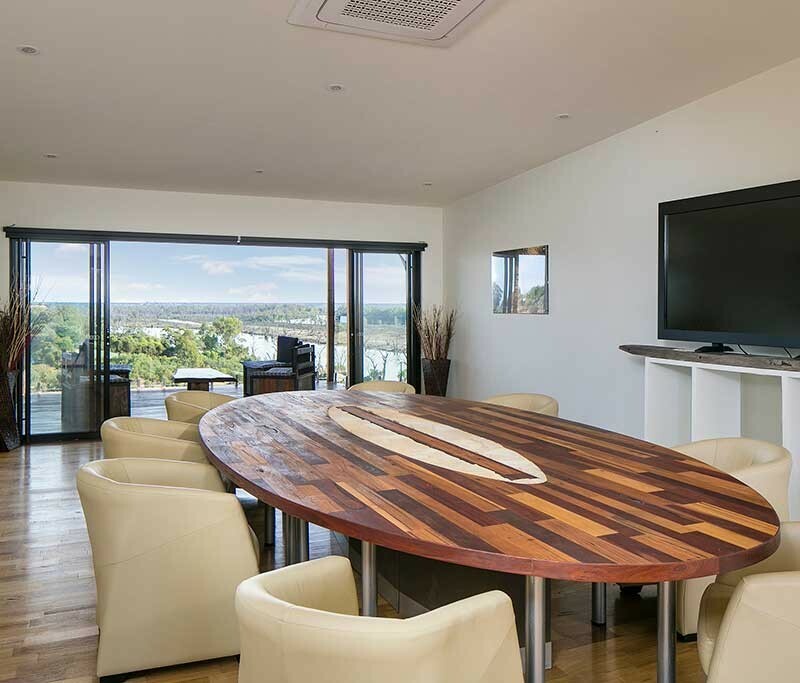 The centre, with decks on both sides can also provide an excellent ‘cocktail venue’ for pre or post functions. 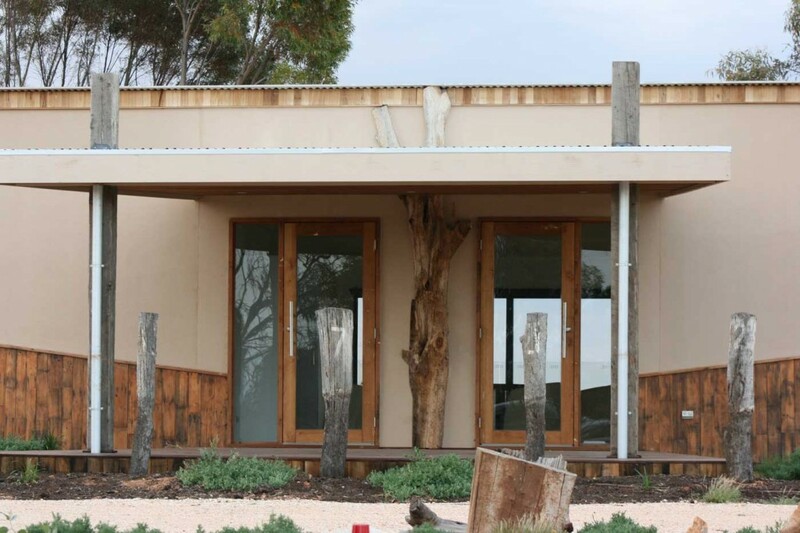 The ‘Woolshed’ situated on a separate 7 acres, was the beginning of the Pike River site in 2006. 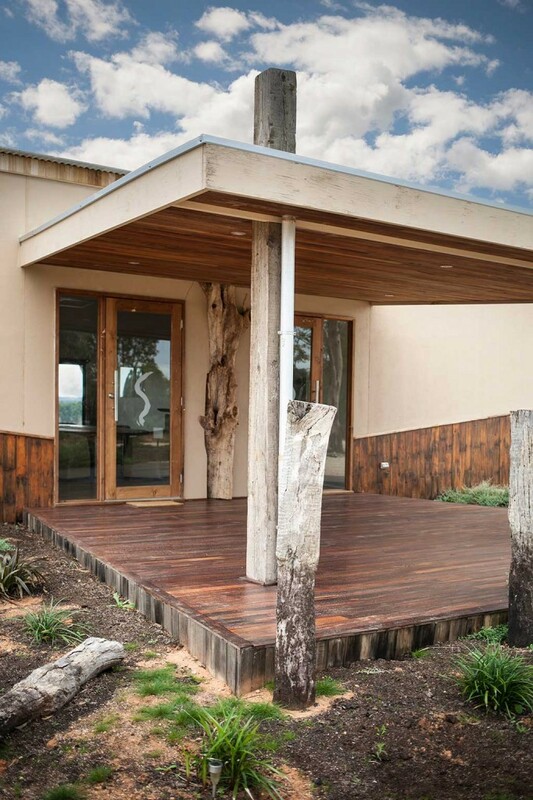 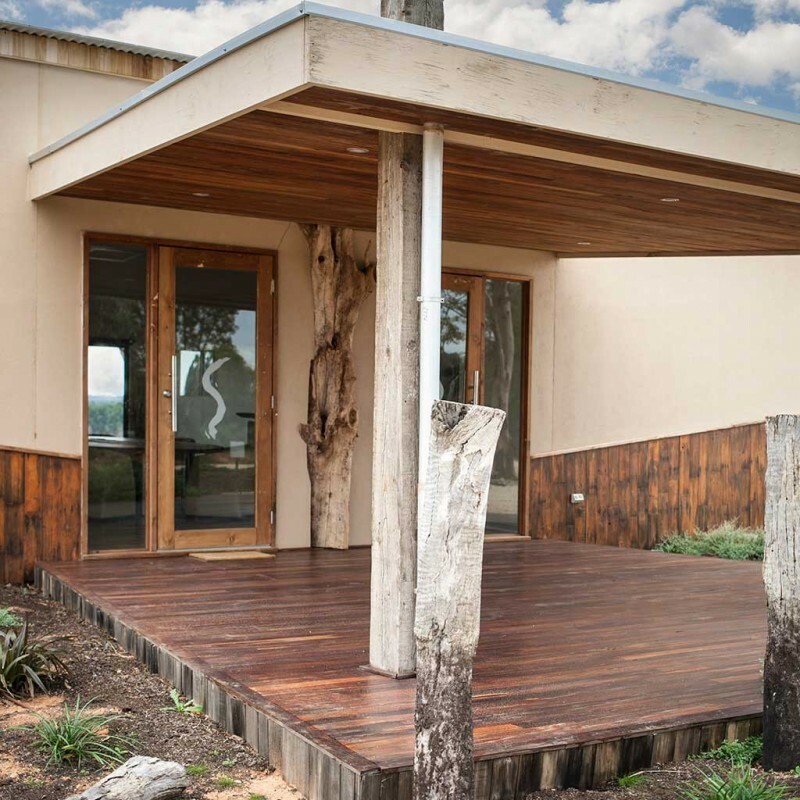 The 400 square metre lawn area coupled with the rustic charm of the Woolshed verandah provides a spectacular outlook. 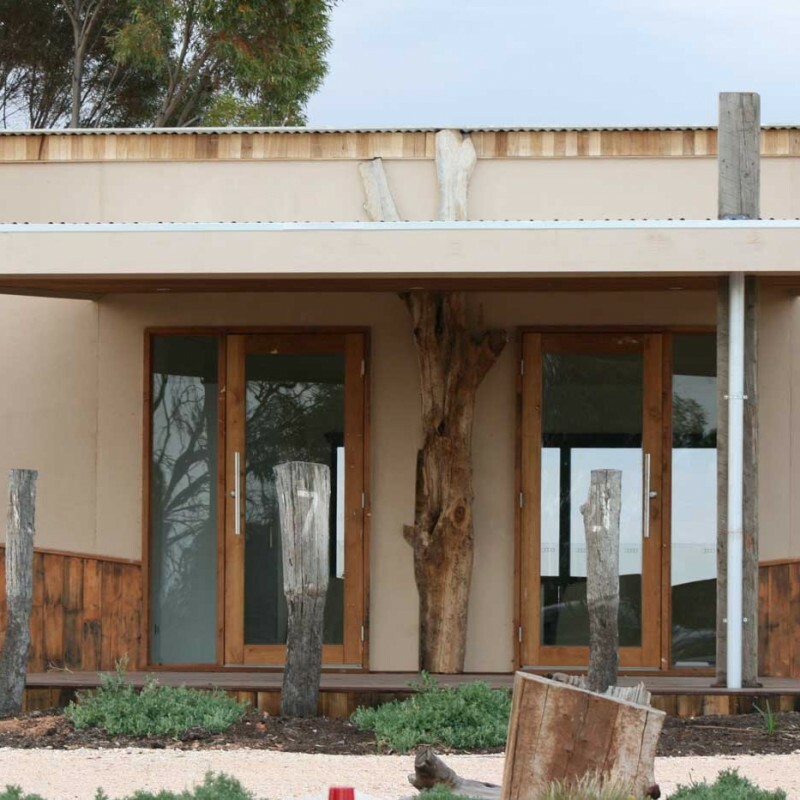 The Woolshed sits on the cliff top above the mud brick Pike River homestead and provides expansive river views.